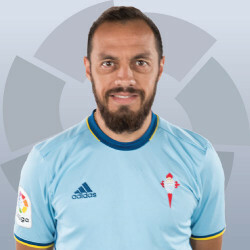 Valencia CF are interested in Chilean football player Marcelo Diaz who currently plays for Celta Vigo as a defensive midfielder and has a contract with them till 2019. Valencia CF were interested in acquiring Camacho, but the club can't meet his high 18 million fee, so the club is looking at alternatives and Vicente Rodriguez and the top brass think that Marcelo Diaz is a suitable alternative, especially since he is going to come very cheap, as his current market value is estimated at about 2.5 million euros. Valencia CF also have an advantage over Celta as they can give him a big higher salary and of course we now have an experienced and successful coach that can also help in getting players to join as they can have more confidence in the project. As I already reported the club only has 93 million euros available for the next season, so sales of our highest earners are in order and that includes Negredo, Enzo Perez, Aymen Abdennour and possibly even Nani, even though reports suggest Valencia's new coach Marcelino wants to keep Nani and has him in his plans for next season. Do you think Marcelo Diaz is a proper defensive midfielder for Valencia CF and what are some of your wishes for this position?